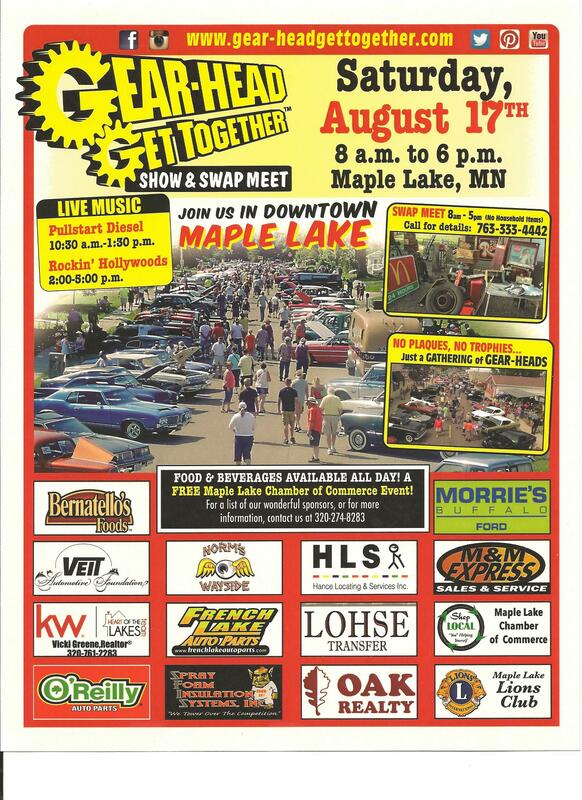 Takes Place Saturday, August 17, 2019, from 8am to 6pm in downtown Maple Lake, MN. Swap Meet goes from 8am to 5pm (No household items. Call 763-333-4442 for more information. Live Music by Pullstart Diesel from 10:30am to 1:30pm and Rockin Hollywoods from 2:00pm to 5:00pm. 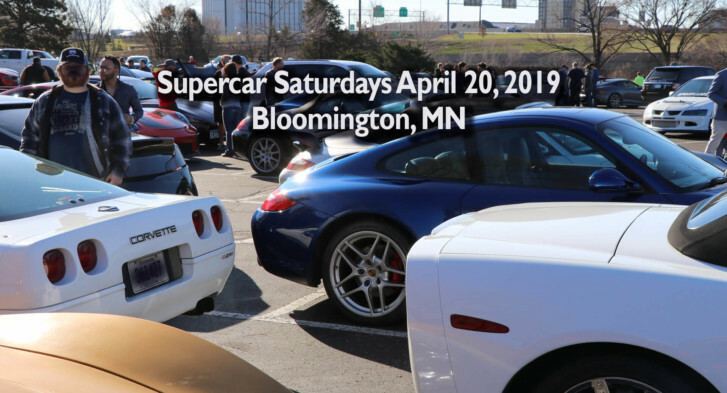 No Plaques, No Trophies…….Just a gathering of GEAR-HEADS!